Your guest guides the ball through the obstacles on the field. Make the ball in the end one and win a prize. Make the ball through the goal post and win a special prize. 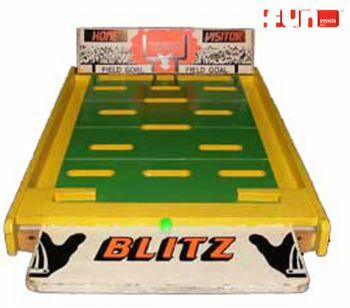 (older kids and adults) A cool game rental party idea for any special event, birthday party, church festival or fund raisers.